David A. Golden, Senior Vice President, Chief Legal & Sustainability Officer and Corporate Secretary, Eastman. The Eastman Foundation, in conjunction with the 2018 G7 Summit, is calling on both the public and private sectors, governments and the global community of citizens to come together to address challenges and identify innovative solutions for a better understanding of our oceans. There is a good chance that weather is the most popular topic of conversation on Earth. And it is telling that so few of those conversations mention the ocean even though the ocean is the fundamental driver of our climate, atmospheric, weather, food, energy and water systems. There is no place on the globe where the ocean does not matter. And yet, we know so little about it. Why is that? In many cases, we simply don process the complexity of how the ocean relates to our everyday life. It is human nature that unless we live near a coastline or visit a beach, we do not think about the ocean even though it covers 70 per cent of our planet. We do not give thought to the fact that the ocean contains 97 per cent of the Earth’s water or that, as an ecosystem service, the ocean produces well over half of the world’s oxygen and has absorbed more than 90 per cent of the excess heat trapped in our climate since the 1950s. We do not think about the fact that 40 per cent of the world’s population lives within 100 kilometers of a coastline and that the number is rising—further exposing populations to extreme weather events. It is easy to overlook the fact that 80 per cent of the protein needed to sustain our world comes from the ocean. We simply do not know what we do not know! What if the opposite were true? What if we could truly harness the potential of the ocean to sustain and improve our world? What if we could better predict severe weather events? What if we could reduce uncertainty about sea level rise and build resiliency in our cities? 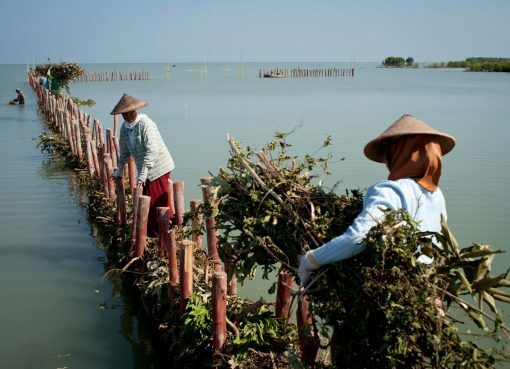 What if we could sustainably harvest the ocean to support the dietary needs of our growing population? What if the fish population began to increase rather than decrease? What if the cure for cancer lies on the ocean floor? While oceanographers and climate scientists have learned a great deal about the processes in the ocean and their effect on the climate in the last decades, understanding is hampered by a significant lack of long-term, high quality, reproducible data. The ocean remains highly under- sampled, from the surface exchanges between the ocean and atmosphere all the way down to the deepest parts of the ocean. Many of the processes, and especially those that relate to interactions between the ocean and the atmosphere, are simply not well understood due to both a lack of data and the relatively small number of researchers funded to work in these areas. Similarly, relatively few direct observations exist of the ocean deeper than a mile down, and this hampers our ability to understand how the deep ocean stores and exchanges heat, salt, and carbon with the upper ocean and how it transports these properties around the globe. It is unsurprising that these observational gaps exist, given the relative difficulty and high cost of getting scientists and instruments to remote ocean regions. Satellites can only ‘see’ the surface of the ocean, below which scientifically-based inferences must be made in many cases to relate observed surface properties to deeper ocean aspects such as circulation and temperature structure. A significant area of uncertainty in climate science and one of the biggest limitations on our ability to predict the timing, location and impacts of climate change is our limited understanding of ocean processes and their interactions with the atmosphere, land, and ice systems. Any serious effort to address climate change and mitigate its impacts must include support and investment in more ocean research. Understanding how much heat and carbon the ocean absorbs is vital to understanding sea level rise and predicting how much, how fast, and where the atmospheric temperature will change. Climate models can only make calculations based upon our current scientific understanding of how these complex systems function. While the climate models include what is known today about the ocean and its influence on climate, there are still many gaps in our knowledge. We fill these gaps with our best scientific assumptions, but these gaps and the assumptions we use to fill them are a major reason that there are still significant differences among the various climate models related to projected climate impacts and their timing. Innovation is critical to get more and better observations – data – that enhance our scientific knowledge and that we can use to improve our models and reduce the uncertainties in our climate forecasts. While the innovation imperative is a concept we continue to hear, innovation is hard. True innovation changes behaviors and occurs at the confluence of an unmet need, a creative mindset, and the right resources which together can solve the problem. Most innovation in ocean research today is happening at the academic level, with limited opportunities for funding and execution, or by specialized companies whose main focus is the ocean. The vast majority of the private sector is noticeably underrepresented, even when their business models rely on the ocean for transport or are significantly affected by weather and climate. Acclaimed for disruptive innovations, the private sector brings an inventive lens for finding creative ways for collaborating with the right resources and investing in smart, catalytic opportunities. This sector has specific expertise, accessibility to resources and often has an appetite for projects with more challenging risk profiles. They understand that you must innovate or die. The fundamental problem is a lack of resources on all fronts. To be successful in increasing our understanding and predictive capabilities of this complex system, we must work together. The 2017 Atlantic hurricane season included 17 named storms and featured the highest number of major hurricanes since 2005. With the greatest number of hurricanes ever observed in the Atlantic basin, 2017 was by far the costliest season on record, with almost US$300 billion in damages, and yet, only eleven named storms and up to four hurricanes had been predicted. How much damage could have been prevented and how many lives could have been saved if we had a better prediction of the location, wind speeds, and storm surge of these severe atmosphere-ocean events? 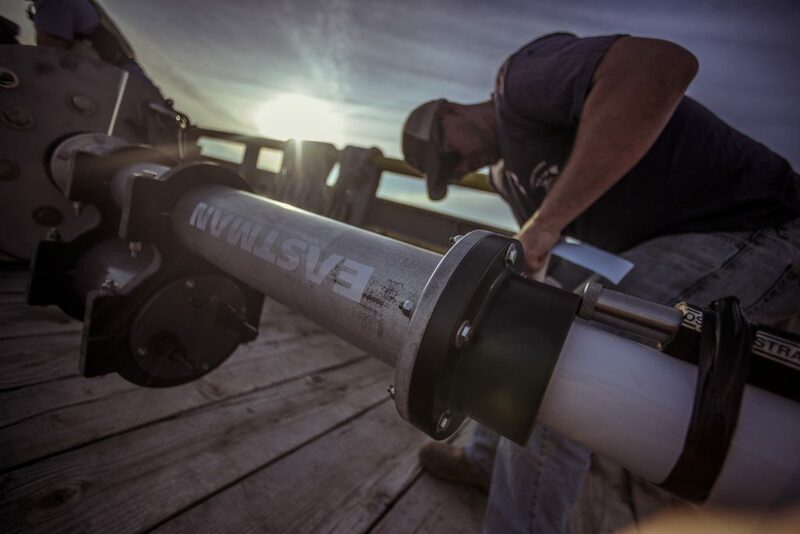 Because the ocean and ocean life are so fundamental to our weather and climate systems, Eastman is supporting the Woods Hole Oceanographic Institution (WHOI) in developing innovative ways to observe and measure ocean processes. These new instruments will allow scientists to collect data in new places and to deeper depths as they strive to understand the ocean’s role in our climate and investigate how our changing planet affects ocean life and water systems. As an example, the Eastman Foundation supported a pilot program involving the deployment of a spray glider to collect and disseminate data from the Gulf Stream. Surprisingly, this was the first continuous measurement of information of this type from one of the world’s most important ocean currents. 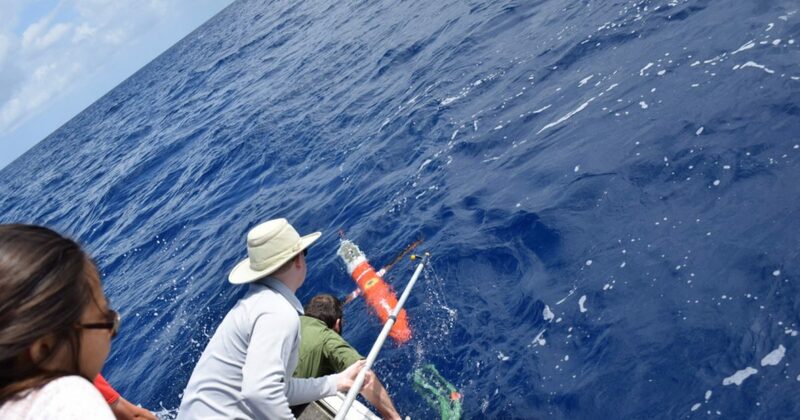 With the support of Eastman, the National Oceanic and Atmospheric Administration (NOAA) and WHOI, the project was successful and is now receiving funding from other entities as these gliders send real time data in advance of severe weather events. The message is simple – we need more data to better understand our ocean. Anyone can make a difference. Start locally and make it personal. No investment in ocean science is too small. If you have a voice of influence in your local school system, encourage more curriculum and programs in the areas of Science, Technology, Engineering, Arts and Math (STEAM). These skills are crucial in problem-based learning and we need more emphasis on the importance of STEAM based careers. Find the closest oceanographic institution or university with a marine focus and get involved in a project. If you are in a position of leadership within a private enterprise – find a way to get involved. If you are a governmental leader, support the funding of ocean science and education. With support from Eastman, WHDI developed a low-cost X-Spar buoy for air-sea flux measurements in remote, inhospitable regions of the ocean where bottom-anchored buoys are not feasible. 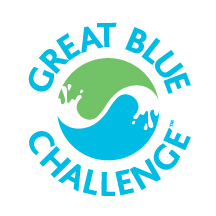 To help facilitate, The Eastman Foundation invites you to The Great Blue Challenge. The Challenge is designed to spark innovation, and to find unique, creative and potentially catalytic project ideas to expedite ocean research. Anyone can make a difference. All eligible submissions will be reviewed and finalists will have the opportunity to present their proposal in person or by videoconference to a panel of experts. 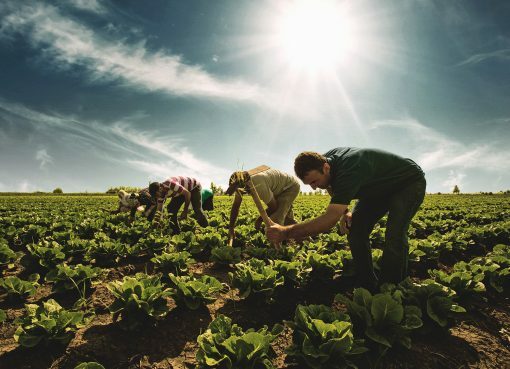 The Eastman Foundation will provide grant funding to each of the winning proposals with the opportunity to continue developing prototypes and furthering research. Understand that no matter where you live, the ocean matters. 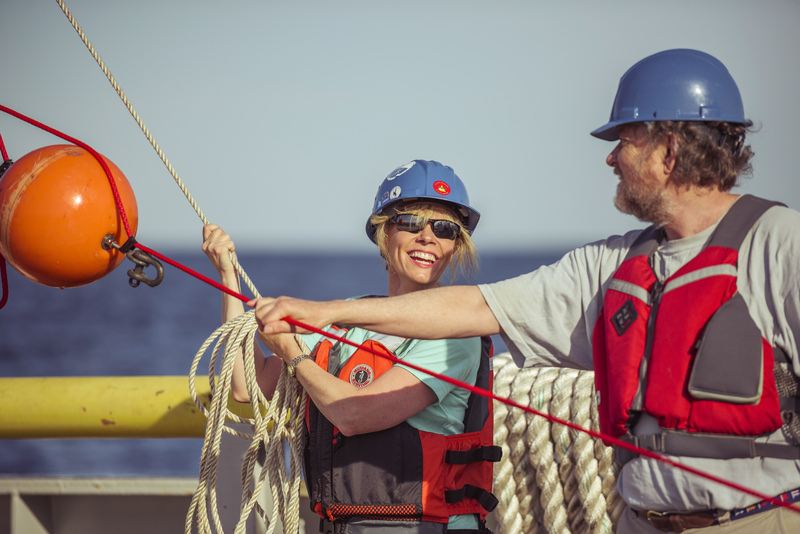 Dr Carol Anne Clayson is director of the Center for Air-Sea Interaction and Marine Atmospheric Sciences and a Senior Scientist in the Department of Physical Oceanography at the Woods Hole Oceanographic Institution (WHOI). Her current areas of research include understanding how air-sea interactions affect the climate scale, how the global water cycle is varying, and how the ocean responds to processes such as tropical cyclones. She has received funding for her research from NASA, NOAA, the Office of Naval Research and NSF. Dr Clayson is the recipient of an NSF CAREER award and the Office of Naval Research Young Investigator Award. She received a Presidential Early Career Award for Scientists and Engineers from President W. Clinton. 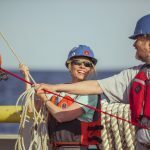 She has also authored or co-authored over 45 journal articles, two books on air-sea boundary layers and numerical ocean modeling, two book chapters and three National Research Council reports, as well as holding one patent. Her expertise and ability to communicate with various stakeholders position her as an asset in discussions on public policy and regulations. She is also involved in outreach activities particularly affecting relationships between corporations and the climate science community, and recently authored a response to the recent EPA ruling on performance standards highlighting the role of the ocean in climate science. David A. Golden is Senior Vice President, Chief Legal & Sustainability Officer and Corporate Secretary for Eastman. He has overall responsibility for Eastman’s Legal, Sustainability, Corporate HSES, and Global Public Affairs and Policy Departments, as well as Eastman’s Ethics & Corporate Compliance programme. As President of the Eastman Foundation, Mr Golden is a passionate believer that small actions can have large effects and that collaboration leads to catalytic and transformative innovation. 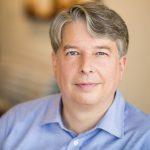 He is deeply involved in community and civic affairs and serves on several boards and advisory councils aligned with Eastman’s corporate partnership initiatives, focusing in the areas of education, empowerment, economic development, and the environment. He is passionate about the importance of understanding the ocean and how it impacts our changing world. Under Mr Golden’s leadership, Eastman is committed to a better understanding of the blue economy – what it means for our business and for our global environment.